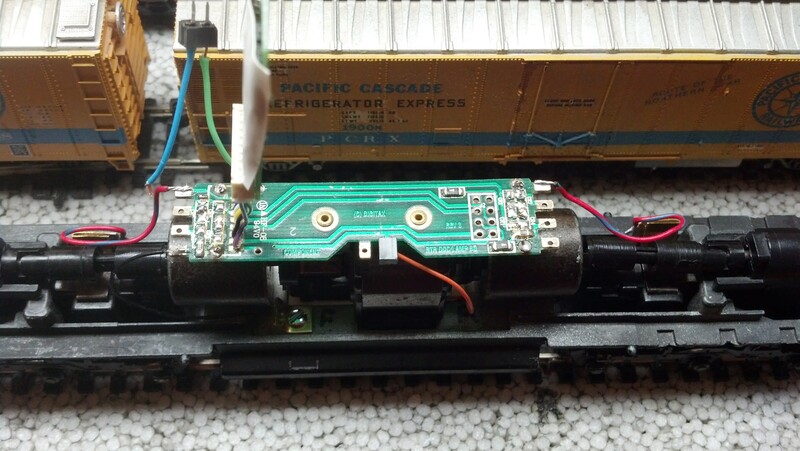 I recently set out to convert an Athearn/Digitrax digital PC board from using light bulbs to powering LEDs. The process involves removing the eight limiting diodes and increasing the two series resistors from 150 to 1K ohms. Since I could find no schematic of the PC board I drew a circuit representation on my CAD program to aid in identifying what circuits to modify. The project has proven to be a great success. This entry was posted in Electronics on July 2, 2017 by Capt.Brigg.